As my regular and loyal readers may recall, I have been patiently waiting for the powers that be to have internet access via cable installed here at the new headquarters. Contracts were signed and promises made *years* ago committing certain parties to provide said services in exchange for an easement across my property. I have exhibited immense self-restraint through this process in the face of rampant arrogance, incompetence, lies, and corporate greed. The bottom line however, is my bottom line is being affected. I have decided this is the week when names are named and my campaign for increased government regulation of utility providers goes into full swing. That said, skiing is fantastic!! There is plenty of snow everywhere for delightful skiing and sliding activities, and more is on the way. Please stay tuned as I work to get back on schedule with Adirondack Lifestyle essays, news, and outdoor recreation reports. 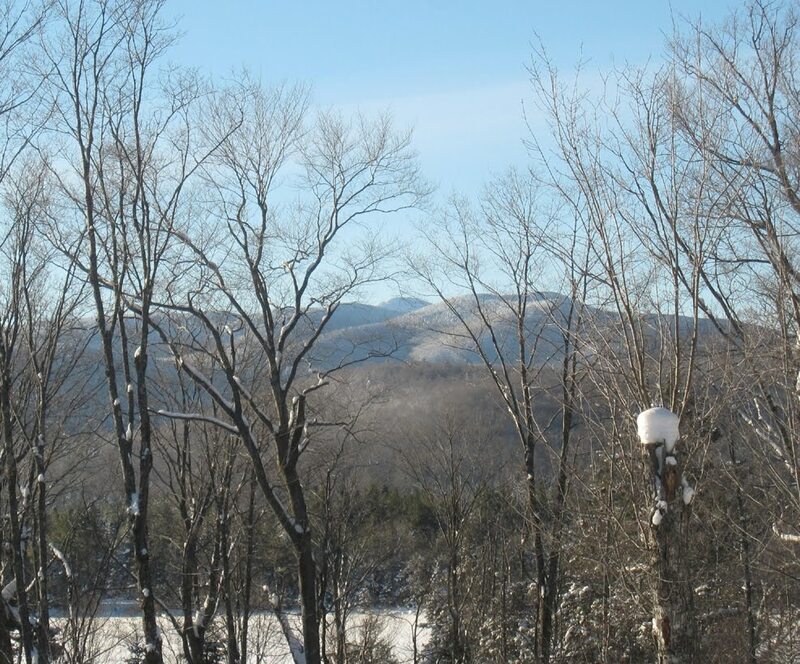 Enjoy today's photo of Mount Marcy as seen from my desk window. This is what -15 degrees looks like from inside HQ!